Mairu is one of Izaya's younger sisters. She has a twin named Kururi. Like her brother, she's a troublemaker at school and introduces herself as liking to read encyclopedias, manga, and adult magazines. She also declares that she is bisexual and is looking for girls who are interested. This causes a stir in the class and she is bullied briefly until she responds to one of the bullies by threatening her with thumbtacks as well as taking her to the bathroom and stealing her bra. Later, the sisters are assumed to have framed the bullies for having drugs by sneaking them into their backpacks. She kisses Aoba after Kururi does, claiming she was happy to get an indirect kiss from her sister. 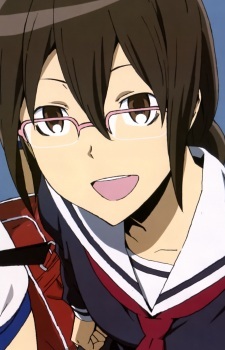 Along with her sister, she is known to be a big fan of Shizuo's brother Kasuka, stating that she would even be willing to push Izaya in front of a truck for a chance to meet him.